So, that towering old tree looming over your rooftop was just damaged in a storm and is starting to look a little… scary. Maybe branches are starting to die off and fall, and you’re lying awake at night worried that it’s going to come crashing through your house. It’s a valid concern! Trees can do a lot of damage to homes, cars, and vehicles if not properly maintained. And, sometimes, a tree just needs to come down. Other times, the problem may not be as obvious. Trees are susceptible to a variety of wood-boring insects, fungus and disease that can leave them sick, weak and vulnerable. In many cases, it takes a qualified tree service provider to properly diagnose a problem. So, how do you know for sure if you need a professional tree service? And how do you ensure that the one you hire will do the job right? If you see any of these symptoms in the trees on your property, it’s likely time to call a professional tree service for advice! Even if you’re an expert DIY’er, tree maintenance and removal is best left to the pros. It can be difficult to diagnose and treat tree diseases, and removing a large tree can be a dangerous process that could result in harm to both property and people. A reputable, knowledgeable tree service will know exactly what your tree needs and how to best resolve the issue safely and effectively. Once you know that you need the help of a local tree service, the next step is deciding which tree company to hire. It’s important to find a tree service that is truly reliable, reputable, and knowledgeable. But how do you wade through all the listings to find the right one? Following are 4 helpful steps to hiring a tree service in Vancouver, WA. Run a Google search on tree services in your area. Take time to look through each company’s website. Is it professional and informative? Look through their online reviews on Google (included in their Google listing), Yelp and Facebook. Are customers raving about their experiences or do they have a lot of negative reviews? You can also check their standing with the Better Business Bureau if you wish. This step alone can help you narrow down the pool to the most reputable companies. Angie’s List is another service that is great for finding reputable service companies and reviews, but it does require a membership. It can also be helpful to ask friends and neighbors if they have a tree service they love doing business with. When you need professional tree maintenance or tree removal, it’s a good idea to obtain more than one opinion and price quote. Choose your top 2-3 tree service companies and ask each of them to provide an on-site tree diagnosis, treatment plan, and price estimate. Tree services and pricing can vary from company to company, so it’s best to compare 2-3 tree service companies before making your decision to hire one. Do you have proof that you are licensed, bonded and insured? Reputable, skilled and trustworthy tree service professionals will be fully licensed, bonded and insured for your protection as a consumer. This spares you from liability should an accident or damage occur during the job and shows that the company has put in the time and resources to be professionally licensed and protected. Are you an ISA Certified Arborist? Tree service companies may be members of the Tree Care Industry Association (TCIA), International Association of Arboriculture (ISA) or other professional organizations. 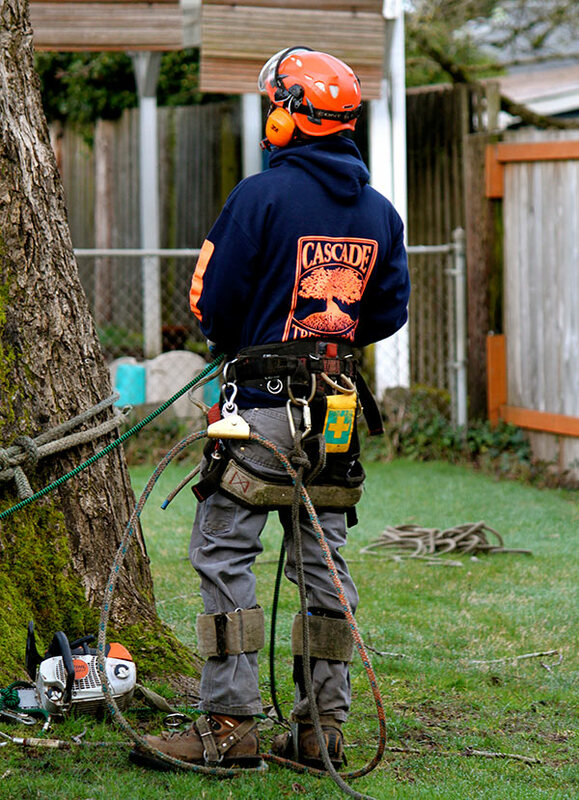 If possible, look for a tree service that is an ISA Certified Arborist. Certified arborists are true experts and specialize in the care of individual trees. They are knowledgeable about the unique needs of different trees and are trained and equipped to provide the proper care and maintenance to keep them healthy. Tree work should be done only by those properly trained, certified and equipped to work safely in trees. Do you have client referrals or case studies I can review? While you can find the most unbiased reviews online, a good company should still be willing and able to produce quality client referrals and/or case studies to show that they have successfully completed the type of work you need to be done. How long will the process take? How soon can they schedule your job? Will the job be completed in one session or will they need to return on a second day to complete the work? How many hours is expected? Knowing this ahead of time ensures that everyone on the same page and that you know what to expect. What is included in your fee? When provided with a price estimate, ask if there could be any additional fees not covered by the estimate. For example, if your tree needs to be removed, does the job quote include grinding or removing the stump, or will that incur an additional charge? It’s important to know that tree companies will quote costs in different ways. Some will cut down your tree, chop up the trunk into manageable sections and haul away the lumber for you. Others will leave the trunk where it lies and let you handle it yourself. Also, keep in mind that some companies charge for travel time or mileage. Be sure to know exactly what costs you’ll be dealing with. What is your payment process? Are you required to put down a deposit up front, or is the fee due upon completion of work? Do they accept credit cards? Know before you start when and how you’ll need to pay the company for their work. What type of equipment will you be using, and how will you minimize damage to my property? In some cases, fencing may need to be removed and lawn may suffer some damage if large work vehicles need to be brought onto the property. How does the company handle big jobs in small spaces? What precautions do they take? Finding out this type of information beforehand will save you an unpleasant surprise later! It’s also helpful to know that the company owns their equipment rather than needing to rent it out on another company’s schedule. Are your Certified Arborists full-time employees or subcontractors? A qualified tree service should have at least 1-2 Certified Arborists on staff with a decent showing of experience and credentials. Avoid companies that subcontract out their work. Finally, once you have decided on the right tree service for your project, be sure to get a written contract. The contract should detail exactly what is being done, the timeline of the job, the price quote, and any potential add-on fees. A written contract protects both you and the providers and helps prevent misunderstandings and miscommunication. Once you have identified your tree service needs, compared reputable companies and estimates and asked all the right questions, it’s time to ask for the contract and schedule the job. Keep in mind that while it’s smart to compare prices, a quality tree company is worth their weight in gold. Going with the cheapest estimate is not always the best plan. After all, with greater knowledge, skills and experience comes a heftier price tag. That said, just because an estimate is higher doesn’t mean the company is superior to others. Take the time to fully research and evaluate each company and estimate until you settle on the one that truly seems like the best fit for your needs and budget. 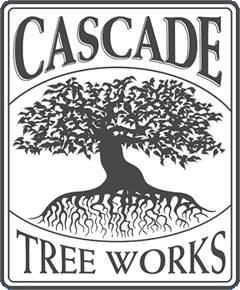 And if you’re looking to hire a tree service in Vancouver, WA, the professionals at Cascade Tree Works would be honored to assist you. Our knowledgeable ISA Certified Arborists and experienced staff are ready to safely, properly and efficiently take care of all of your tree care needs! Call us today at (360) 889-8680 to schedule a free, on-site consultation and estimate. Or, if you prefer, contact us via email here.